Born in Denver, Colorado, Annie made her way to the Bay Area five years ago. After working many years in the hospitality industry she decided to pursue her passion and delve into the beauty industry. She studied esthetics at the Cinta Aveda Institute in San Francisco where she was taught a holistic approach to skincare, focusing on over all well being and also incorporating the ancient art of Ayurveda. 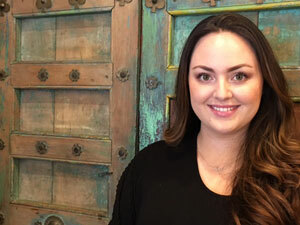 Annie continues to learn and expand her knowledge in the every changing skin care industry. She has taken continuing education courses at the International Dermal Institute in San Francisco and participated in countless trainings from world renowned skin care lines. Annie also worked as a sales representative for Eminence Organics Skincare at the Face and Body Expo in 2016. Annie's greatest joy is to connect with her clients on a deep and personal level in her treatment room. She loves to help women and men discover the joy and importance of self care. She uses her attention to detail and gentle touch to create a comfortable environment and ultimate satisfaction.